Hundreds of the victims of the 1984 riots, which took place in Delhi and other parts of the country in the aftermath of the assassination Indira Gandhi at the hands of her own security guards, today condemned the Congress-led United Progressive Alliance government for letting off the main accused by “not initiating action” against them. Reacting to the “action taken report” of the Union Home Ministry, which observed that no action could be taken against the three main accused — HKL Bhagat, Sajjan Kumar and Jagdish Tytler — the riot victims pointed out it was obvious as who was the culprit. They said even when they had been found guilty by the Nanavati Commission, the Congress government had let them off, “rubbing salt into our wounds after 21 years”. In an instant reaction, the riot victims staged a protest demonstration. A massive demonstration has been planned for tomorrow. In the Dugri and Urban Estate areas, predominantly inhabited by the 1984 riot victims from Delhi and other parts of the country, there was a feeling of betrayal. Kailash Kaur, originally from Sultanpuri in Delhi, lost her 22-year-old son in the riots. “Nobody was prepared to register our FIR and we were dragged out of the police station. We fled for life...but now the old wounds have been reopened with the government letting off the main accused”, she said. She alleged that the people who had led the rioters had now been let off by the Congress government. Baldev Kaur, also from Delhi, who lost her husband in the riots, remarked: “Punishment to the culprits would not have brought back our near and dear ones, but at least we would have felt that we had got justice. Now we feel betrayed”. She regretted that this had happened with Dr Manmohan Singh (a Sikh) as Prime Minister of the country. Reacting to the UPA government stand on the Nanavati Commission report, senior Akali leader and general secretary of the Shiromani Akali Dal, Mr Mahesh Inder Singh Grewal, said the Congress had once again proved that it had no respect for the sentiments of minorities. He observed it was shameful on part of the Congress to shield the “guilty”. The Sikh Students Federation (Mehta) also condemned the Congress-led UPA government for not taking action on the Nanavati Commission report. In a statement here today, the president of the federation, Mr Gurcharan Singh Grewal alleged, the Congress had once again proved it was “anti Sikhs”. “Otherwise, how could it explain letting off the main culprits in the 1984 riots”, he asked, appealing to the Sikhs to boycott the party. A demolition squad of the Ludhiana Municipal Corporation (LMC), which had gone to demolish alleged encroachments in a gurdwara in Transport Nagar, was badly beaten up by some women present inside the religious place. The team, however, succeeded in razing the structures. The team, comprising the Area Town Planner, Mr Tejpreet Singh, an Inspector of the MC police and other employees had gone to demolish some shops in the religious place in the afternoon. A JCB was also with them. Though no menfolk were present inside at that time, the team was offered resistance by the women. They beat up squad members with sticks. An official called up the DSP of the MC police, Ms Amandeep Kaur. She reached the spot with women police. It was only after their visit that the demolition could be effected. Many MC employees were injured in the incident and were given medical treatment. However, none of them went to the Civil Hospital to escape the attention of the media though there were reports on the spot that the injured had been shifted to the hospital. Officials refused to initiate legal proceedings against the women for attacking and injuring them. Mr Tejpreet Singh said the management of the gurdwara was allegedly encroaching upon public land to construct shops. The MC could not allow any commercial activity at that place and hence was demolishing the structures. The management of the gurdwara, however, maintained that they were constructing a langar hall and an employee of the MC had given them green light to go ahead. Ms Kuljeet Kaur, a member of the management committee, said they were not constructing shops and that the MC had demolished a langar hall. She alleged that an employee of the MC had, a few days ago, told them to construct the building on the plea that he would make all arrangements and that it would not be demolished. “But today they came to demolish it. He needed a beating and we have given it to him,” she said. 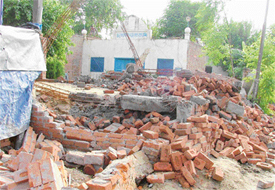 Later, the MC team demolished two houses and a wall in Dhandhari Kalan. Parliamentary Secretary Surinder Davar today laid the foundation stone of a 66 kv sub-station at Old Jail Road here. The new sub-station would cater to City Central and CMC divisions, including areas like Field Ganj, Brown Road, Janakpuri, Cheema Chowk, Kidwai Nagar, CMC Hospital, areas around Lakshmi Cinema and Subhani Building. The sub-station, expected to come up within six months, would involve an estimated cost of Rs 7 crore. It would be developed by a private company. This was for the first time that the Punjab State Electricity Board (PSEB) had outsourced the development of a sub-station. Mr Davar assured that development work for the sub-station would not suffer due to want of funds. “We would make sure that there is no shortage of funds.” He said a meeting of the Ludhiana Municipal Corporation (LMC) Commissioner and Mayor with the Chief Engineer, Central Zone, would be held soon so as to plan more sub-stations in the city. The new sub-station would reduce extra load on feeders and minimise line losses. The Chief Engineer, PSEB, Mr P.K.Aggarwal, said four more new sub-stations would come up soon in Ludhiana. “The foundation stone of a new sub-station at Rajguru Nagar would be laid soon,” he said. He said quality of power supply would improve and residents would get uninterrupted supply after new sub stations came up. The LMC Mayor, Mr Nahar Singh Gill, appreciated PSEB officials and employees. The Deputy Chief Engineers, Mr K.D. Chaudhary, Mr D.B.Arora and Mr V.K.Bhatia, and MC Councillor Sanjay Talwar, were among those present on the occasion. Flaying the decision of the Punjab State Electricity Board (PSEB), the Ludhiana Machine Tool Makers Association said the industry was forced to observe compulsory offs for two days in a week and face unscheduled power cuts. “The PSEB had assured that power supply will be regular when compulsory offs one increased to two days. However, unscheduled cuts have not been stopped,” said Mr Kirpal Singh Sagar, president of the association. He said the machine tools industry was already suffering due to unstable raw material prices, recession, shortage of skilled labour and tough competition from countries like Taiwan. Poor power situation, along with two weekly offs would only worsen matters for this industry. The association also said power problems in the state had resulted in shifting of industry to neighbouring states. The association urged the PSEB to ensure regular power supply at the earliest. Senior Akali leader and former MLA from Ludhiana Rural, Dhanraj Singh Gill passed here today after a prolonged illness. He was 75. He was suffering from cancer for about a year. He is survived by his wife, two sons and two daughters. The cremation will take place in his native village Jandiali tomorrow at 11 a.m.
Several political and social organisations have expressed sorrow at the death of Mr Gill. 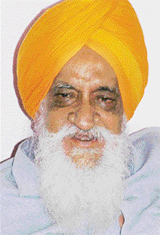 General Secretary of the Shiromani Akali Dal, Mr Mahesh Inder Singh Grewal, said the party had lost a senior and seasoned leader. What do you think about the venue of the Asian Cycling meet in December at the PAU? The cycling velodrome at the PAU campus is second to none in the country. Actually, such meets are normally held in the national capital. But since, the infrastructure in New Delhi is being spruced up for the Commonwealth Games scheduled for 2010, we asked the international governing body to allot this event to Punjab, ahead of Hyderabad. The local velodrome had been the venue of the national games and the national championships so it was the ideal venue for this mega event. How many countries are expected to take part in this event ? Around 3000 participants, including officials, from about 20 countries are expected to take part in this week-long sports extravaganza. We have received written confirmation from 12 countries and more are expected to send in the coming days. What are India’s chances of winning medals in this meet ? India has fair chance of finishing among position holders during this meet as the hosts have some fine competitors in various disciplines. In the last edition of this meet held in Japan, India had finished overall fourth. We expect to improve upon our previous performance. Industry in the city might be crying hoarse over the Punjab Pollution Control Board’s (PPCB) decision to shift ‘red category’ units from residential areas, but city residents are demanding immediate implementation of the decision. Residents, who have demanded that these units must be shifted on an urgent basis, apprehend that due to political pressure, the units might not be shifted at all. “The PPCB had earlier too asked these units to shifts. They were even offered land on concessional rates. However, due to political pressure, the decision was not implemented,” alleged Mr Sher Singh, president, Environmental and Welfare Association. Residents rue that due to excess pollution created by the ‘red category’ units, they suffered from ailments like asthma. Most of these units are located in Janta Nagar, New Janta Nagar, Shimlapuri, Dashmesh Singh Nagar, Chet Singh nagar and Kot Mangal Singh Nagar. As per the advertisement by the PPCB, the only communication so far to industrial units to shift, red category’ units have to shift from residential areas by September 30. The decision affects over 250 units engaged in works like electroplating or zinc plating. The industry demands that the areas where these units are located be designated as industrial areas. They also say if the units are to be shifted, these should be allotted land on concessional rates and be given sufficient time. “The issue has not been finalised by the state government as yet. These areas should be designated as industrial areas to avoid inconvenience and harassment,” said Chamber of Industrial and Commercial Enterprises. The protest by industry has made residents apprehensive of the implementation of the decision to shift these units. “These units should have been shifted long back. We only hope that the decision is implemented this time,” said Mr Singh. The Punjab State Electricity Board has purchased power worth Rs 990 crore during the past four months in order to tide over the power shortage in the state. The PSEB has been purchasing 400 lakh units of power daily to fill the gap between the demand and supply. The PSEB had purchased power worth Rs 896 crore last year from April to July. According to official sources, the demand for power has been rising in the state and the total demand has touched 1500 lakh units daily whereas the availability from all sources, including 400 lakh units purchased daily, is to the order of 1300 lakh units. The demand last year was between 1100 to 1200 lakh units and the availability was 1050 lakh units daily during this period. The PSEB would have had to make a heavy investment on the purchase of power this year if the water level in the hydro-units had not been satisfactory, thanks to the heavy rain in the catchment areas and melting of snow. The water level in the Bhakra reservoir has been reported at 1658 ft. and the level is rising by one and a half feet daily. The Bhakra reservoir level is likely to achieve the optimum level of 1680 ft during the current monsoon season. At the same time, Punjab’s own hydro power stations are also generating power to full capacity due to the better water level in the reservoirs. The total generation from the state hydro units is to the tune of 256 lakh units daily. The availability of power to the state from the BBMB-run units is 226 lakh units and all thermal plants of the state are generating to their full capacity — 422 lakh units daily. Despite such a heavy purchase of power from other states, the PSEB has imposed two-day compulsory weekly off for the industries in Punjab and tubewells are now getting a seven-hour power supply daily. Enquiries reveal that the PSEB has diverted more power to urban areas in order to ease the situation in cities, which have been facing power cuts for five to seven hours daily. For the past three days, the cuts in the urban areas have been reduced to two hours daily. It is unbelievable if voters of a constituency say that they have never met their representatives after elections in a span of 58 years of Independence? Yes, but it is true. This was stated to Ludhiana Tribune by some aged persons residing in Ludhiana district. These down-trodden people belong to nine villages falling in the Bet belt near the Sutlej river, a few kilometers from Machhiwara. These villages were included in Ludhiana district a few years ago whereas earlier these were a part of Hoshiarpur district. Villagers find it easier to visit Machhiwara and Samrala in comparision to Nawanshahr and Hoshiarpur for getting work done, but they have not been able to see their representatives in any of the two districts so far. Residents of Dhullewal and Roarmajri villages have to cross the river for exercising their franchise. These people feel disappointed and helpless when their representatives refuse to recognise them after the elections. Perhaps this is one of the reasons why these villages fail to get any financial grants for development. “As a result of this negligence on the part of politicians, we have lost interest in the democratic process,” say Malkiat Singh, Bhajan Singh and Satnam Singh. Darshan Singh and Tara Singh of Sikandarpur village in the Balachur legislative segment say they have not seen their representatives in the past many decades. Jaswant Kaur said she did not know that the government even gave grants for the development of the village. A roofless primary school in the village, a poor drainage system and lack of proper health services justify the claim of the villagers. The nine villages which fall in the Phillaur and the Hoshiarpur parliamentary constituencies are Dhullewal, Roarmajri, Sikandpur, Kamalpur, Tandi, Noorpur, Shergarh Dopana, Chakl Kasab and Auliapur. Residents say they are only able to see the photographs of their representatives in posters and newspapers. Belonging to the revenue district Ludhiana but being part of the Lok Sabha segment of Phillaur and Hoshiarpur, respectively, these villagers say when development grants are released, every leader ignores them, saying that their villages fall in the other area. The Deputy Director, Local Bodies, Mr S R Kaler, today directed the Executive Officers of Municipal Councils and Nagar Panchayats to prepare special projects to be executed by the special Municipal Funds created under the Budget of Government of India for 2005-06 for the development of cities. These directions were given in a special meeting of Executive Officers held here today under the chairmanship of Mr Kaler. He directed the Municipal Councils to lay emphasis on water supply, disposal of sullage water and setting up of treatment plants in the towns. He said that at present in all towns drinking water supply was being provided to 60 per cent and sewerage facilities to 70 to 75 per cent of population. He directed the Executive Officers to prepare the projects for extending these facilities to 100 per cent population in their towns. Keeping in view, the threat of spread of water borne diseases including gastro , malaria during the rainy season, the DDLG directed all the EOs to ensure proper chlorination of drinking water and to take the samples of drinking water from the different areas, particularly from slum colonies and get these tested. He also asked them to take effective steps to check leakage in the drinking water pipes and remove the tulu pumps where ever, installed on water supply lines. He also told them to distribute sufficient chlorine tablets among people of all areas. Mr Kaler stressed upon the need to raise more resources and to meet the budgetary targets. The Bharatiya Valmiki Dharam Samaj (BVDS) has mooted a proposal to set up centres to impart religious education to children of the Dalit community in a bid to consolidate its religious base while at the same time to check the menace of forcible conversions under the influence of Christian missionaries. Addressing a news conference here today, the national chief organiser of the body, Mr Bhim Singh Anarya, maintained that the BVDS would launch a concerted drive during the next two years to propagate Valmiki dharam in each and every household of the community so that there were no forcible conversions. He said it was proposed to set up religious teaching centres on the pattern of ‘gurukuls’ to train ‘pracaharaks’ who could reach out to the community to achieve the objective of religious consolidation. Mr Vijay Danav, national organiser, Mr Raj Kumar Hamdard, general secretary, Mr Lakshman Dravid, Mr Sham Lal, Mr Lalla Babu Dravid, all joint secretaries, and Mr Ashwani Sahota, state convener, were among those present on the occasion. According to Mr Anarya, the preparations for the forthcoming two-day national-level delegate session in Chandigarh on September 10 and 11, were reviewed at a meeting here and activists of the BVDS were assigned specific duties for the session. He said the session would discuss at length several vital issues like need for legislative ban against attempts to tarnish the image of Maharishi Valmiki, separate reservation for the community in government jobs and educational institutions at all levels, terming safai workers as technical staff, scrapping contract system of labour and national holidays on birthdays of Rishi Valmiki and Dr B.R. Ambedkar. Mr Vijay Danav said certain functionaries of the body, working against its interests, were expelled from the party at a meeting of the national executive held in Chandigarh in February this year. He maintained that these anti-party elements had made some appointments of office bearers, which were unconstitutional and unlawful. The BVDS had already lodged a report with the police. The Bharatiya Kisan Union (Lakhowal) will stage a protest demonstration at the Mini Secretariat here tomorrow, highlighting various demands. The BKU activists will submit a memorandum to the President and the Prime Minister through the Deputy Commissioner. The acting president of the BKU, Prof Manjit Singh Kadyan, said here today that the farmers would press upon the government to exclude the agriculture sector from the World Trade Organisation (WTO) regime. He said the WTO regime would spell doom for Indian farmers who would be placed in fierce and unjust competition. The BKU has also been demanding abrogation of the ‘seed law’ passed by Parliament. Prof Kadyan said the new law was not in the interest of the farmers. Appealing to the government to repeal it, the BKU leader said it would be in the greater interest of the country’s farmers. The BKU leader said the organisation was preparing for south Asian congregation of farmers at Hardwar in October. The congregation would finalise preparations to counter the WTO summit being organised in Hong Kong early next year. Every year during the Republic Day parade, one sees children below 15 from different states, who have performed extraordinary feats of bravery, seated atop elephants and saluting the President. Ms Nupur Majumdar, wife of an Army personnel, has put their stories in a book — “18 Real Life Stories of Great Valour & Bravery”. Ms Majumdar said,”My father, the late Squadron Leader R.K. Gupta, wrote a book on the brave children who were honoured on Republic Day. He presented the book to the late Indira Gandhi in 1983. After his deaths I decided to further his work. “I made up my mind to take to writing now as my seven year-old daughter, Kashishs has no role models. She and other children of her age are reading Noddie, Famous Five and now Harry Potter. I thought I should highlight the stories of bravery of these children”. Basically, I belong to Ludhiana. However, I have been travelling with my husband all over. Since I did not know how to go about it, I asked Karam Singh Aujla, a city writer to help me out,” she said. The book is to be released on August 12 at the Chandigarh Press Club. Some of the brave children will be present at the launch function. She said,”Some children are from very poor strata of life and are quite frail. Yet, with their presence of mind and courage, they saved people. I feel courage is related to mental strength. One physically challenged boy, Motilal from Mathura, jumped into Yamuna and saved the lives of three persons. “I had to labour a lot to dig out the details of these children. I wrote to the Indian Child Consul Welfare. They helped me. 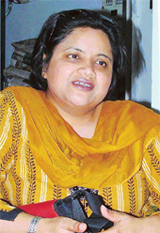 Deputy Commissioners and SSPs of some didstricts also helped me in getting a detailed information,” Mr Majumdar said. Since the children like colourful books, she had Prof Satwant to make relevant illustration. The foreword is written by Ms Vidya Ben ,Chairperson, National Bravery Award Committee. She said around 80 per cent children did not know about bravery awards and hoped her book would motivate others. The children, who are coming to attend the launch function, will spend two days in Chandigarh and would visit, Sukhna Lake, Rock Garden and a CocaCola bottling plant. Trident would distribute gifts among them. The city witnessed a new concept of burning fat the Taebo Gold Fitness Art, introduced by Footloose Institute of Art and Fitness. Director of the institute Amit Verma, has launched this concept of weight loss in Punjab. Taebo gold workout is a South African workout based on punches and kicks. Mr Verma said, “Taebo gold workout in a high impact programme which helps to reduce excess fat and inches especially from shoulders, chest, back, thigh and hips areas. He further emphasised that if this workout was done with concentration and force it could help in burning calories and help in muscle toning and body sculpting. More than 50 girls participated in a free workshop here today organised by the institute. The Railway Pensioners Welfare Association has rued that the recommendations of the Fifth Central Pay Commission regarding pensioners have not been accepted in toto. Except the fitment formula, demands have not been met, the association said. The pensioners had demanded restoration of commutation after 12 years instead of 15 years, 1 per cent increase in pension every year for those who had put in more than 33 years of services. The association said that despite raising their demands with the NDA government and also with the Amarinder government, the demands had not been fulfilled. The association said that meeting these demands would not put any additional financial burden on the government. “The 1 per cent increase every year would cause only a little budgetary burden, “ the association president, Mr Sher Singh said. Distressed at environmental degradation and rampant pollution, the Chahal Welfare and Sports Club, Uchi Daud, celebrated this year’s vana mahotsava on a large scale. The club has planted 200 banyan and pipal trees in different villages. Out of these, 100 trees have been planted in Village Goslan alone. The remaining have been planted in Sekha, Ber Khurd, Rabbon, Baba Deep Singh College, Maloudh, Saddopur and Saroud villages. It is estimated that had half of the trees planted in Punjab in the past 50 years survived, nearly 40 per cent area in the state would have been under trees by now. The club has also made arrangements for watering of trees in the villages. The club has distributed saplings of fruit trees, shade trees and ornamental to people in Uchi Daud to plant them in their houses. Nearly 150 trees have been planted on the village common land. Mr Harvinder Singh Chahal, president of the club, said the club had decided to expand the programme and involve other NGOs. working in this field. The All-India Progressive Women’s Association (AIPWA) held a peace rally on Saturday. The rally started from Manju Devi Hall and concluded at Jagraon Bridge. The woman leaders said Hiroshima was a dark chapter in the history of human civilisation and its results were visible even today. The leaders said they would launch an agitation for 33 per cent reservation of women and for closing the option of night shift for working women. The second subject of the seminar was “Capitalist culture, Sangh Parivar and the role of AIPWA”. A discussion for providing a better social set-up for women would be organised soon, said Jeet Kaur, Punjab secretary of the AIPWA. Conflict between workers and the management of Gobind Rubber Factory at Focal Point here ended late last evening following the police intervention. Workers had resorted to violence last evening over the alleged non-fulfillment of their demands. They also broke window panes of the factory. However, as soon as police personnel reached the spot the two parties arrived at a compromise as the management had agreed to consider the workers’ demands. Mr G S Bahia took over the charge of his new assignment as Assistant Commissioner (General) Ludhiana here today. He has replaced Ms Anupam Kaler, who has been transferred as Assistant Commissioner (Grievances). Earlier Mr Bahia was Assistant Commissioner, Ludhiana.